Whether you are an office complex, hotel, store, restaurant, or institutional building, you know that you generate your fair share of waste every day. If you are looking for more economically efficient and eco-friendly ways to reduce and manage waste, then you need a waste reduction/prevention program in place for your commercial business. If you’re a business in Burlington, Milton, Oakville, or Mississauga, the task of reducing waste and keeping your commercial property clean is easy when you team up with Mr. Waste. There are many beneficial reasons for establishing an efficient waste disposal plan for your business including; clean recycling, eliminating health hazards, and saving money. 1. Recycling: A recycling program helps your business reduce waste and remove excess materials from the property all at once. You can purchase a recycling bin(s) from a disposal service so that you can dispose of everything from plastics to office paper to boxboards. Recycling will dramatically reduce the amounts of general waste your property disposes of on a daily basis. 2. Establish a Waste Prevention Program: When you find your business is producing excess waste and it’s becoming a headache, then it is time to develop a waste prevention program. Your program requires three components to be effective: reduce, reuse, donate. Identify what products your company can reuse in some way, and reduce waste generated by changing how you manufacture, produce, or even package your company’s products. Implement recycling rules that are mandatory for all staff to ensure this program is successful. 3. Get a Dumpster: One of the best ways to manage waste is to have Mr. Waste deliver a commercial rental dumpster bin, and pick it up once it’s full. You can rent everything from heavy-duty to front-load dumpsters, from 6 yards to 18 yards long, to position at your facility and schedule private pickups at your convenience. Increasing recycling efforts saves you disposal costs and improves your company’s bottom line. Managing your waste more effectively enhances your sustainability and improves your company’s image with the public. When you manage waste, you also reduce greenhouse gas emissions and conserve resources by recycling products that would otherwise be disposed of in a landfill. Tracking waste for your company helps you monitor the progress of your waste disposal program, and identifies where your waste management could continue to improve. For your company’s waste management plan, contact Mr. Waste in the GTA. Our company offers the dumpster rental bins and the services you need to manage commercial waste more efficiently. Comments: Comments Off on COMMERCIAL WASTE DISPOSAL FOR YOUR BUSINESS? As the Spring time nears, you’re probably in need for a rental dumpster bin from Mr. Waste, and you may not even realize it! The warm spring weather means it’s time to inspect your attic, garage, basement or any other storage areas, looking around to identify all the junk you have accumulated over the course of the winter season. When were you planning on getting rid of it? There’s no better day than today! But just the thought of going through all that stuff can be overwhelming, so here are some tips from Mr. Waste for junk pick up and cleaning out your storage areas in and around your property. In order to be as efficient and organized as possible, start from one end of the area or space your cleaning and keep track of everything you have already gone through. This way, if you need to take a break or attend to something else, you can easily come back and continue cleaning from where you left off. Create different piles – one for things you plan on getting rid of, another for things you plan on keeping, and a third pile for things that you are unsure about keeping or getting rid of. At the end of the process, you will be able to analyze how much space you’ll have and can then decide which of these items to keep. Take out ay large items you plan on getting rid of immediately at the beginning of the cleaning process. This way you’ll have space to move things around and you can better envision how you want the area to be at the end. In your rental dumpster bin from Mr. Waste you can put old furniture, old toys, lumber, metal, plastic and other types of debris. If you’re unsure just give us a call and we’ll confirm that item is on our allowable disposal list. Mr. Waste offers rental dumpster bins in Hamilton and the Greater Hamilton Area including Hamilton, Burlington, Milton, Ancaster, Dundas, Stoney Creek, Grimsby, Brantford, Flamborough, and Waterdown. When it’s time to do your spring cleaning, you can count on Mr. Waste to arrive on time as planned, pick up your items, and haul them away at very affordable rates. Contact us today to get started! Hiring disposal bins is a common practice amongst construction and industrial companies. On the other hand, homeowners, are not usually experienced with the process of renting dumpster bins, and often make mistakes that can cost them greatly. If you are planning to renovate or extend your home, or are if you’re planning an event or party at home, then you need to know how to choose a disposal dumpster bin rental that is residential-friendly. Mr. Waste provides bin rental services in Hamilton and the Greater Hamilton area in Southern Ontario, and offers 6 yard to 14 yard size rental bins, perfect for your residential cleanup. The first step to finding the appropriate dumpster bin rental service is to look for a company that offers custom packages for waste management in residential areas, like us here at Mr. Waste. We offer mini to small-sized dumpsters instead of the large roll-off dumpster bins that are used for clearing industrial debris. Usually, a dumpster bin that is 12 feet in length, or smaller, should be enough to clear garbage or rubbish at home. Besides the size of the bin, the services offered by the bin rental company should also be considered before you make a choice. Mr. Waste takes care of everything from pickup and drop off of the rental dumpster bin, which includes getting the disposal bin to the location and loading it with the debris, to disposing the debris in a safe manner, so as to cause no inconvenience to the other people residing in the area and also to prevent spillage, which can harm the environment. Last, but not least, homeowners should consider the costs involved with renting a dumpster bin. Mr. Waste’s residential dumpster bin rental services are tailored to meet the waste management requirements in residential areas and are affordable for homeowners. Contact us today to learn more. If you plan on remodeling your home or doing some landscape work, a dumpster bin rental provides the most efficient solution for disposing all the waste safely and effectively. However, the problem is that people often forget that these dumpsters are large metal objects that need to be handled properly to avoid ruining your landscape. As hard as your concrete or asphalt driveway may be, it will likely suffer damage if you place the dumpster bin rental directly on it. Follow these useful tips from Mr. Waste to ensure your driveway remains protected. Consider placing down some pieces of wood or plywood on the surface of the driveway where the dumpster bin will be positioned, as well as anywhere the delivery truck or other heavy equipment will be operating. This will prevent parts of the dumpster and the construction equipment from sinking into the ground and leaving stains, unwanted grooves, and compacted zones. You’d be surprised at how fast construction and landscaping waste can fill the dumpster bin and weigh down. If you continue to add more debris passed the bin’s limits and without considering the weight, it can lead to damaging your driveway or landscape. You can avoid this by knowing the weight limitations of your dumpster bin rental and sticking to the filling recommendations. Don’t be stressed if you need to schedule additional pick-ups, remember that they will likely be cheaper and more convenient than repairing a damaged driveway later. For those choosing to use roller dumpster bins, its important to know that most of the weight will be concentrated on the wheels. This is not a concern if you are working on a quick project, but if you intend for the dumpster to remain on the site for an extended period of time, especially in hot weather, then it’s likely to create imprints or dents on the asphalt. Therefore, we recommend placing wide boards beneath the wheels in order to distribute the weight over a larger area and minimize compact. Liquid wastes or food waste leave you with the risk of leakage, which can stain the driveway. It’s important to inspect the dumpster bin carefully prior to rental for any points of weakness such as rust, corrosion, or gaps, and request a dumpster replacement if you are not satisfied with what you see. Alternatively, you could place a tarp beneath the dumpster placement. Remember, even if you have no waste liquids, some materials can still seep and leave stains if it rains. If you have a job at hand, contact Mr. Waste today to rent a dumpster bin and get it done effectively and efficiently. We will assist you with choosing the right dumpster bin and by making recommendations based on your project in order to help reduce the chances of driveway damage. As opposed to hiring a junk removal service, who wants to do everything in one day, you can rent a dumpster for any duration you please (ex. one week). This gives you the flexibility you need to work carefully and comfortably without stress or feeling rushed. Secondly, you’ll have a wide range of dumpster types and sizes to choose from, ensuring the waste on your work site can be properly disposed of without issue. There are various dumpsters you can request for special disposals such as liquid waste, septic tanks, and portable restrooms. By utilizing a rental bin at your work site, you are ensuring the safety of your workers by keeping the construction site clean and clear. By having a rental bin, you avoid dealing with random piles of garbage and debris that can be a safety hazard for workers and anyone walking/driving through the area. Having a dumpster will dramatically decrease the likelihood of any accidents, injuries, lawsuits, and many other dangers. Proper waste disposal is definitely beneficial to the environment. When more waste is picked up and disposed of at a single time, it reduces the CO2 emissions from dump vehicles coming in and out of your work site. Furthermore, by disposing garbage directly into the rental bin, you reduce the risk of having any of the waste or debris leech into the soil and groundwater in the area. By renting a dumpster for your work site, you’ve designated a spot to dispose waste, which everyone working is aware of. This eliminates any work or effort needed to pile up garbage or remove it, allowing your workers to focus their time and energy on the actual project at hand. This will also decrease costs and increase profits since workers can safely and efficiently work and move through the site. 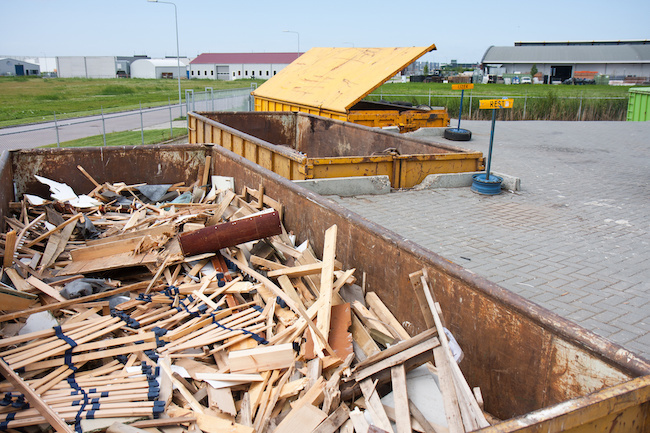 Knowing you have a designated dumpster for all the waste and debris on your work site keeps you stress free and able to focus on the project at hand. A rental bin also dramatically reduces any chances of accidents or injuries. Finally, when you rent a bin from a professional disposal company, you can rest assured that your waste will be disposed of in accordance with the law and any regulations. Renting a dumpster bin to rid your work site of garbage, debris, or any other waste can be crucial to ensuring your project is completed without any safety hazards, accident, or injuries. It is also beneficial to increase profits and decrease cost. Call Mr. Waste today to learn about our options for you! 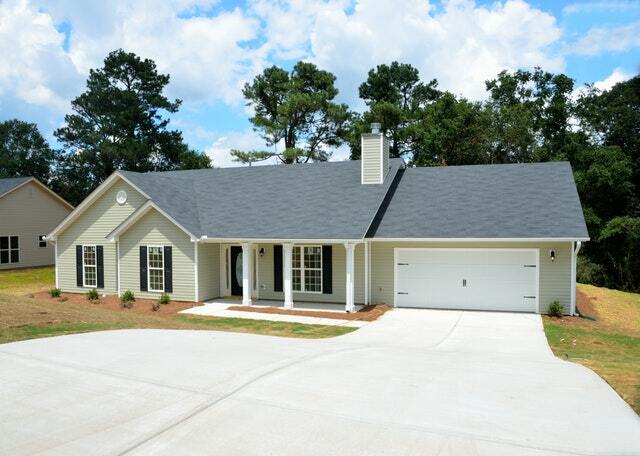 No matter your contracting project, large or small, commercial or residential, Mr. Waste offers the right size dumpster at the right price for the job. 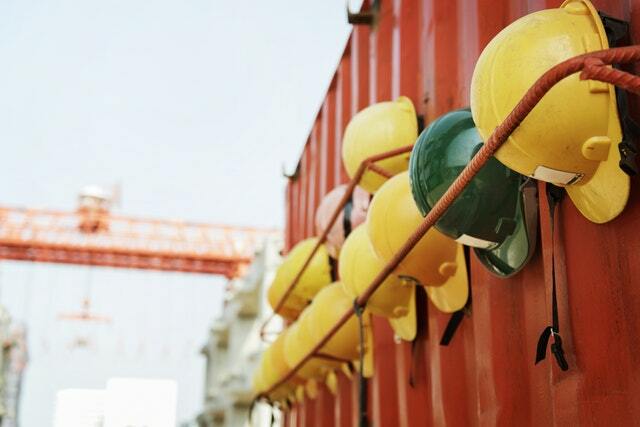 As a company that has been in operation for more than 40 years, we understand that your business highly values the health and safety, and well-being of your employees. From one business to another, we want to help yours be the best that it can be by offering dumpster and bin services to keep your workspace and work site tidy and safe, for everyone. We not only have your business in mind, but we also have your client in mind. Imagine the impression you will leave them by maintaining a well-kept construction site, free of debris and errant materials, by using a bin for anything marked recycle/landfill. We want to make this easy, convenient, and hassle-free for your business. Don’t worry about factoring in dump runs during a construction project. We can schedule a regular bin pick-up and disposal, or you can simply request a pick-up and while we’re at it we will replace it with an empty one. Old nails, dry-wall, wood scraps, insulation, plumbing, electrical, hardware and more can all be disposed of by Mr. Waste! Our dumpsters offer a lower price per yard which means they can handle just about anything you throw its way. Whether you’re replacing an old deck for a client or building a new one, we’ll take (almost) all the materials you can no longer use or repurpose. See below for items we do not accept. Shingles, roofing, and gutter materials will not be a welcomed sight for your client if they are strewn about their property. A strategically-placed bin will make cleanup more efficient and pleasant for both you and the family you’re helping. Ah, refreshing summer fun! We may not be able to supply the pool structure, lining, pumps, or water – but we can help your cleanup by removing the unwanted leftovers of constructing the pool. We do not accept: tires, propane tanks, batteries, asbestos, paint cans and pesticides. The customer will be held responsible for any financial and/or environmental impact of all hazardous materials. Everyone is doing it. Neighbours, coworkers, animals, even the trees. Fall is a transitional time of year. It feels as though all aspects of life in Canada are bracing themselves for cooler temperatures, less sunlight, to-do lists for indoor projects, and of course fall cleanup!